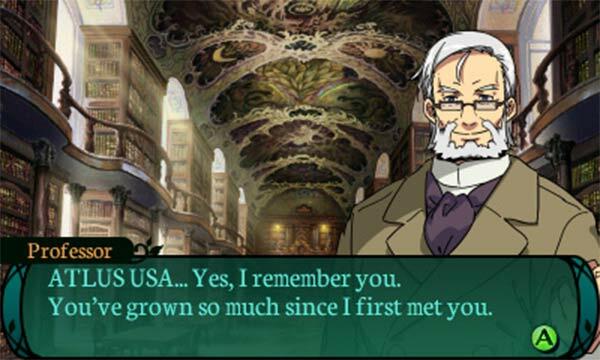 Etrian Odyssey 2 Untold has two ways to play the game, continuing the tradition of the Untold franchise. Classic mode revisits the original Etrian Odyssey 2 with updated graphics, player conveniences, and a full roster of classes. Story mode features a fixed party, but includes voiced dialogue, animated cutscenes and a bittersweet arc that explores the relationship between Arianna and the Fafnir Knight. Both a wonderful upgrade to the original Etrian Odyssey 2 and an impressive improvement on Etrian Odyssey Untold, Untold 2: The Fafnir Knight is a dungeon-crawling delight. With satisfying combat, endless customization, and beautiful labyrinths that are as fun to map out as they are to explore, this is a joyously engrossing adventure - and a truly accessible difficulty setting and user-friendly interface make it the easiest Etrian to dive into yet. I don't have much to knock about The Fafnir Knight beyond some tedious points and the uninspiried story and characters. In fact, as soon as I opened up cooking and town development, I found myself in an engaging, hard-to-put-down gameplay loop. That being said, after numerous Etrian Odyssey entries, the formula hasn't changed much. 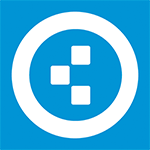 It's still fun, but without any large leaps, Etrian is starting to get stale. I feel playing one entry is like playing them all. Etrian Odyssey is a meaty adventure with dozens of dungeon floors and bone-crushing challenges to overcome with its competent turn-based combat. The story isn’t perfect, but I was happily kept busy with exploring the world, battling bosses, and feeding the hungry citizens of my hubtown. Those minor grievances aside, The Fafnir Knight is a fantastic addition to the Etrian Odyssey name. It features the deep, satisfying dungeon crawling action fans of the series have come to expect, all the while allowing newcomers a multitude of options to tailor the experience to fit their skill level. 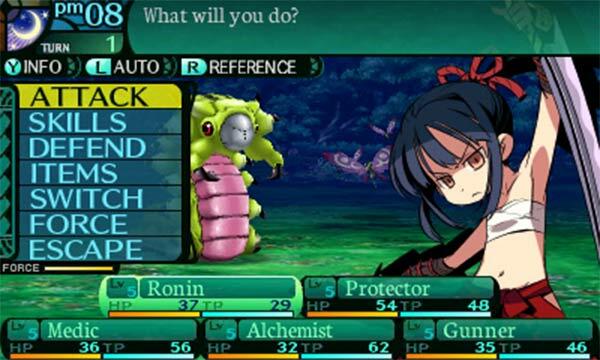 Etrian Odyssey 2 Untold: The Fafnir Knight is a huge game. It's the game to point to when asked what a remake should be. The amount of improved and original content added to the title is extraordinary. 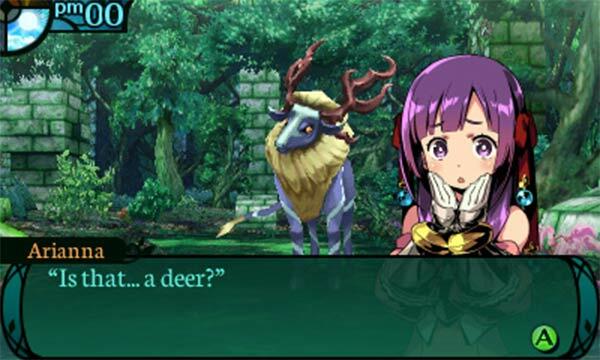 Etrian Odyssey Untold 2 has some flaws, certainly--the additions to the formula make it more accessible but don't ultimately enhance the game. On the other hand, it looks great, it retains the traditional Etrian Odyssey experience in Classic mode, and you still feel empowered after defeating a challenging FOE with only a sliver of health to your name. It's great to have a modern, reimagined version of the original Etrian Odyssey 2, but don't expect Etrian Odyssey Untold 2 to deliver a revolutionary experience if you've crawled through this dungeon before. Even the few complaints can’t take away from the charm, challenge, and thrill I got from playing Etrian Odyssey Untold 2. ... This is an incredible game, and one of my favorite on the 3DS. You should at least play the demo. If it hooks you, the full version is well worth your time. Just two years ago, I was worried that the Etrian Odyssey series may lose itself in trying to be something that it's not. Now, with its sixth game, it's re-established an identity. Where the first Untold spinoff felt like a step backward for the franchise, Etrian Odyssey 2 Untold: The Fafnir Knight stands with the series' best, building on Etrian Odyssey's strengths and fixing weaknesses it's never shown an interest in addressing before. Etrian Odyssey 2 Untold: The Fafnir Knight continues the trend of quality dungeon-crawling conventions. The Story Mode is a cut above Millennium Girl‘s, with characters and a story that are far more developed, the combat and customization remains engrossing and deep, and the production values are impressive. This is a DRPG that can be played and enjoyed by veterans, thanks to Classic Mode, or complete genre newcomers thanks to the more narrative-heavy Story Mode where the level of challenge is far more accessible. Highly addictive dungeon exploration, and strangely compelling map-making element. The town upgrades are a welcome addition, and you always have classic mode as a fallback. However, the plot is completely uninteresting and none of the characters are particularly likeable. The Grimoire Stones are still a flawed concept. Etrian Odyssey 2 Untold: The Fafnir Knight focuses on everything that is strong with the franchise, adding the possibility to remove annoyances, such as having no story, or battles being a bit too difficult. It doesn't add much new material to the table, making it a questionable purchase for veterans, as the story is too weak to justify the price tag for that aspect alone, but, for newcomers, this offers a wonderful, newcomer-friendly entry point to the series. Atlus doesn't reinvent the Etrian Odyssey wheel with 2 Untold, but it does build on what made the first release so much fun, without making any readily apparent sacrifices. Overall, Etrian Odyssey 2 Untold: The Fafnir Knight is everything I could ask for from a new EO title. The game features gameplay options that could truly fit any sort of gameplay style. Moreover, the mission and side-content depth means that playing through the game could take anywhere from 30 to even 100 hours, a truly versatile figure for such an expansive dungeon-crawling RPG experience. It's extremely well put together, a rare treat for aficionados of this dying breed of gameplay. It’s also well worth exploring for those intrigued by the concept but unfamiliar with the experience. Thanks to the Picnic mode, it's a veritable gateway game for the subgenre. Etrian Odyssey 2: Untold: The Fafnir Knight es un ejemplo más de que Atlus es una empresa atípica dentro de la industria. Llena ese hueco en los catálogos de las consolas con títulos diferentes y, cuando se decide a hacer un remake, no se queda en la superficie, sino que lo justifica con contenido nuevo. Como remake el título desprende cuidado y mimo en todos sus apartados, y aunque realmente no llega a aportar nada nuevo y destacable a la serie, mantiene toda su diversión intacta, preocupándose de que sea igualmente disfrutable tanto por nuevos jugadores como por los más veteranos. Il n'en reste pas moins très agréable à parcourir, que vous préfériez le relatif dirigisme du monde histoire ou parcourir le labyrinthe avec votre propre équipe. A la condition sine qua non que vous soyez réceptif à ce type de concept rebutant de prime abord, par son minimalisme et son inhospitalité. 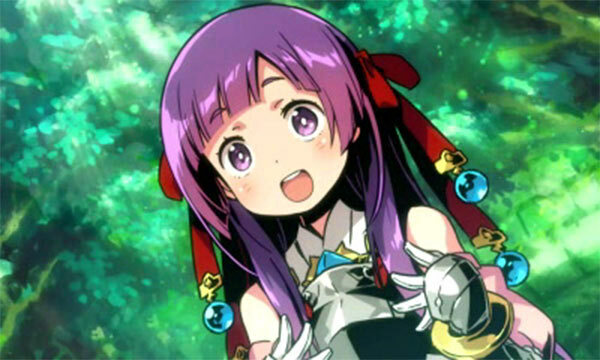 Etrian Odyssey Untold 2 continua muito competente no seu núcleo, dominando na perfeição os dois aspectos mais importantes deste género de jogos: combates e navegação. Quanto às novidades do remake, nem todas têm a qualidade esperada com uma narrativa e personagens pouco inspiradas mas não se chegam a tornar aborrecidas. Il miglior capitolo della saga disponibile. Longevo e impegnativo, ma anche profondamente ripetitivo. È difficile consigliare spassionatamente un gioco come questo Etrian Odyssey 2: The Fafnir Knight proprio a causa della sua natura così "retrò" e dei suoi evidenti limiti. Si pone un obiettivo chiaro, in questo caso uscire dalla nicchia che per forza di cose la saga occupava, e lo persegue in maniera eccellente, aprendosi sì a schiere di giocatori meno smaliziati ma al contempo conservando totalmente, per chi lo vorrà, la piena assenza di compromessi che ne è un po' il manifesto. Come per tutti i dungeon crawler, la formula base non è esente da una certa ripetitività di fondo, ma la quantità e la qualità di gameplay offerti da Etrian Odyssey 2 Untold The Fafnir Knight sono tali da renderlo comunque consigliabile a tutti gli amanti di giochi di ruolo, anche se totalmente a digiuno della saga. Etrian Odyssey 2 Untold: The Fafnir Knight – насыщенное приключение, предлагающее преодолеть ряд подземелий и сокрушить множество могучих монстров, используя умную и интересную боевую систему. Здешний сюжет не поражает воображение, но я всё равно получила удовольствие от исследования мира, сражений и кормления голодных горожан.